Hello my dears, we are back at the pretty-craft.com with a fresh ideas for this winter for them, who really loves crochet. 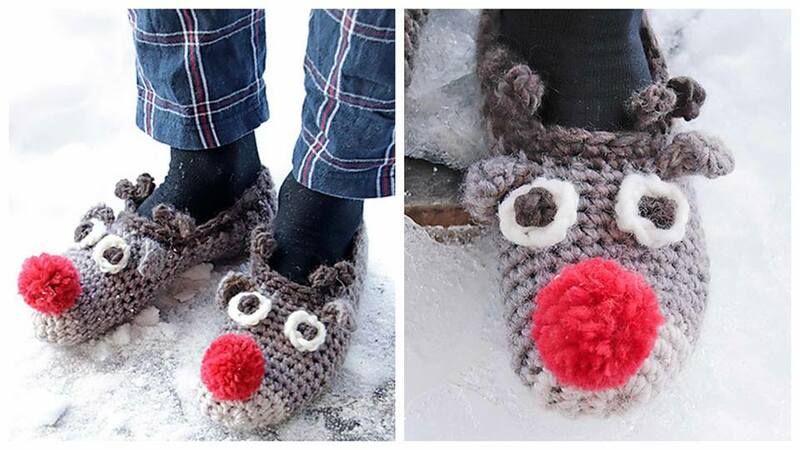 At this time here is a free pattern of this lovely reindeer slippers. If you have been searching for something thematic, original and fresh idea to crochet, stop searching, this is exactly what you have been searching for. The pattern is full, here is explained everything you will need during the working process, beginning from the materials you should use during crocheting, finishing with advises about colors, design and etc. You can also look around this blog and find many interesting ideas about crochet on this blog. wish you a good day!